Faith and Luke Carraday have it all. Faith is a beautiful singer turned socialite while Luke is an up-and-coming businessman. After taking his inheritance from his father’s stable, lucrative business to invest in a successful hedge fund with the Michov Brothers, he’s on the fast track as a rising young executive, and Faith is settling comfortably into her role as his wife. When rumors of the Michovs’ involvement in a Ponzi scheme reach Faith, she turns to Luke for confirmation, and he assures her that all is well. 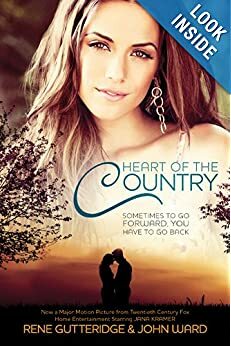 But when Luke is arrested, Faith can’t understand why he would lie to her, and she runs home to the farm and the family she turned her back on years ago. Meanwhile, Luke is forced to turn to his own family for help as he desperately tries to untangle himself from his mistakes. Can two prodigals return to families they abandoned, and will those families find the grace to forgive and forget? Will a marriage survive betrayal when there is nowhere to run but home? When life gets tough and you decide to go home, what kind of reception will you receive? When life gets tough and your husband is labeled a criminal, what do you do? This adult movie is a story about unconditional love, forgiveness, going home, and faith. It shows understanding and patience and looking forward not to the past. Faith returns home to find her father terminally ill and her husband is in prison for his actions at work. She decided to stay in North Carolina. Her husband must decide whether to tell the truth that will bring them together as a family. You will see community support, friendship, and love. You will see sisters forgiving each other after many years of separation. I really enjoyed this movie and I believe you will also.